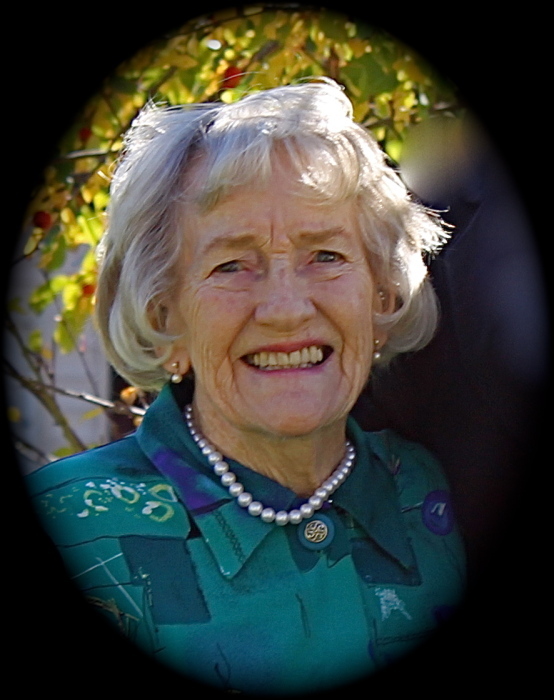 With heavy hearts, the family of Mary MacBeath, (nee Young), announces her passing on March 19, 2019 at the age of 94 years. Mary was born on September 22, 1924 in Thompsonville, Connecticut. Her true home, however, was Scotland – and although she wasn’t born there, she was quick to point out that she was raised there. She was very proud of her Scottish heritage and we truly believe that upon her passing, she didn’t pass through the Pearly Gates to Heaven but rather the “Plaid Gates to Scotland” – in her mind, Scotland was Heaven. The youngest of 5 children, Mary was affectionately known as “Babe”, a nickname that lasted well into her adult life. As a youngster, she was passionate about art, sports and had a strong aptitude for math and science. She briefly considered pursuing a career as an artist, but instead devoted her studies towards becoming a bookkeeper - a profession that allowed her to showcase her keen attention to detail and razor sharp mind. Art remained a lifelong passion for her, however, and she truly blossomed as a talented painter and potter. Mary was a natural athlete and enjoyed dancing, curling and lawn bowling. She also loved to watch sports, especially the Oilers, Blue Jays and British rugby matches. Of course, if she was watching the “telly”, then it was guaranteed that she’d have a piping hot cup of Tetley tea and a little bowl of “sweeties” nearby. In addition to living in Great Britain, Mary lived in both the USA and Canada before returning to Scotland again in 2005. After enjoying a decade there, she made the decision to move back to Canada at the youthful age of 90 to be closer to family. Though her heart ached for her beloved Scotland, she also enjoyed exploring Pincher Creek and Blairmore on her scooter, attending music events, the community markets, and of course spending time with family. Mary was known throughout the Crowsnest Pass simply as “Granny” or sometimes as “that feisty Scottish lady”, and we are incredibly grateful to everyone who took the time to have a chat with her, tell her a joke or listen to a story or two. Our heartfelt thanks to all of the staff at the York Creek Lodge, Crowsnest Medical Clinic, Crowsnest Pass Hospital and Fantin’s Funeral Chapel. Left to cherish the memories of Mary include her son Charles MacBeath (Kim); her six grandchildren, Andrew Fairhurst (Erin), Barry Fairhurst (Jenn), Louise Riopel, Mathew Fairhurst (Heather), Ross MacBeath, and Laura Field-Thomas (Dave); and her niece Elaine Smith (Kym). She will also be missed by her six great-grandchildren, Jordan, Sophia, Carter, Taya, Sasha and Caitlyn, and many special friends both in Canada and Scotland. Mary was predeceased by her parents, John & Janet Young; her siblings, Margaret, Betty, John and Janet; her husband, Donald MacBeath; and her beloved daughter, Debbie Fairhurst. With respect to Granny’s wishes, a small family celebration will be held in her honour. If you wish to make a donation in Mary’s memory, she loved animals of all types and was a generous supporter of animal shelters as well as an ardent supporter of the Salvation Army. Of course, a simple Scottish toast with a strong whisky or hot cuppa would suit her just fine too. Condolences may be registered at www.fantinsfuneralchapel.ca. Fantin's Funeral Chapel assisting the family with arrangements. (403) 562-8555.